Frankensteinia: The Frankenstein Blog: Vote Frankensteinia! I’m happy to report that FRANKENSTEINIA has been nominated ­— again! 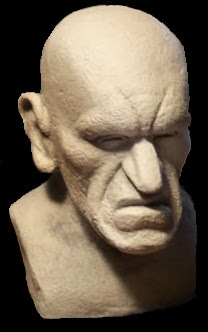 — in the BEST BLOG category of the prestigious Rondo Hatton Classic Horror Awards “honoring the best in classic horror research, creativity and film preservation”. We were First Runner Up last year, second only to Max Cheney’s Drunken Severed Head blog. Won’t you help us get over the bump (the bump being Max’ head) and go for the win? Voting is open to everyone and is done through email. The ballot, with voting instructions, is here. Basically, you make your picks, you sign your name to make it official, and you send it in. The ballot is huge but you can vote in as many or as few categories as you wish. Yes, you can vote in the blog category only. Should you want to give us your kind consideration, send your vote in for Category 16: Best Blog, FRANKENSTEINIA. Voting closes March 27 and winners are announced the following day. The awards will be presented at the next Wonderfest, in Louisville, Kentucky, in May. Best of luck to all the nominees and big time thanks to David Colton for running the show. 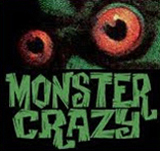 The Rondos are sponsored by the Classic Horror Film Board. 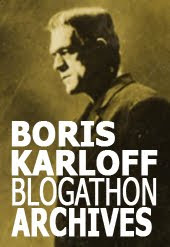 Though I am nominated, I am endorsing FRANKENSTEINIA both at my blog and in any place it makes sense to do so. My drunken dome should be no barrier to a parade of voters for your superlatively surpassing blog! I always vote for Frankensteinia for the Rondos. By the way, I'm (sort of) Rondo nominated, too, or rather BELA LUGOSI's TALES FROM THE GRAVE is, but I do have a Bela story in that issue. VOTED for FRANKENSTEINIA! Who else, Pierre? Couldn't happen to a nicer guy - or a better site!